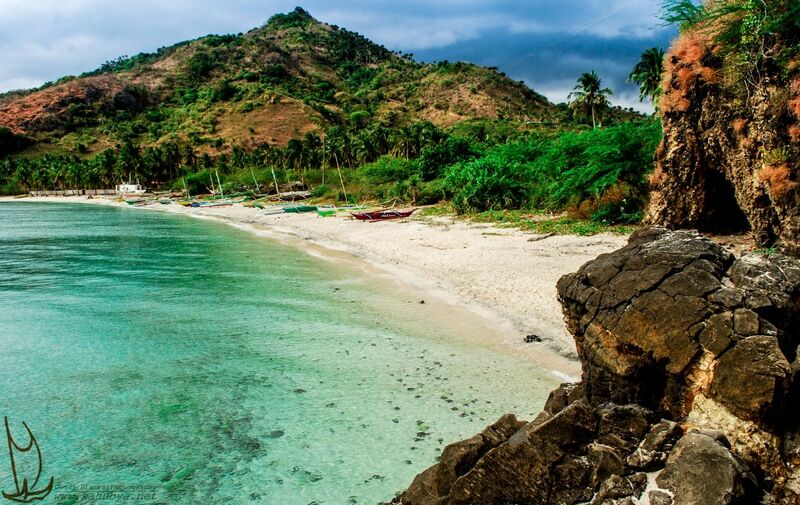 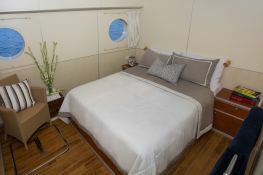 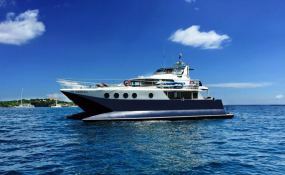 This nice yacht is a refurbished recently and upgraded 72 feet/22m long-range expedition yacht. 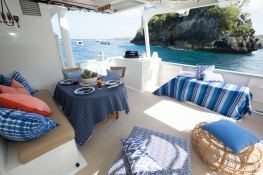 Her 22m catamaran hull makes for super comfortable cruising amongst her broad and spacious decks for an amazing day cruise or sunset party. 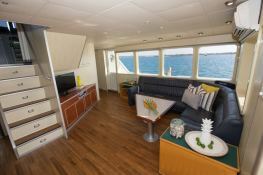 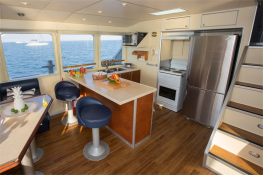 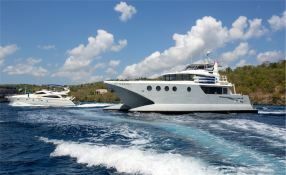 She features a spacious fly bridge, upper helm station, and an open aft deck with stairway to a covered cockpit. 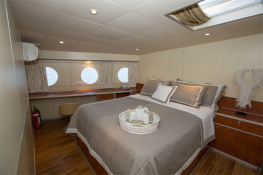 Two double guest rooms with en-suite and a twin berth with separate bathroom can accommodate up to six to eight guests for overnight charters or to relax in during the day.This motoryacht is available for yacht charter with a base price of 27 000 € (approximatly 30 449 $).